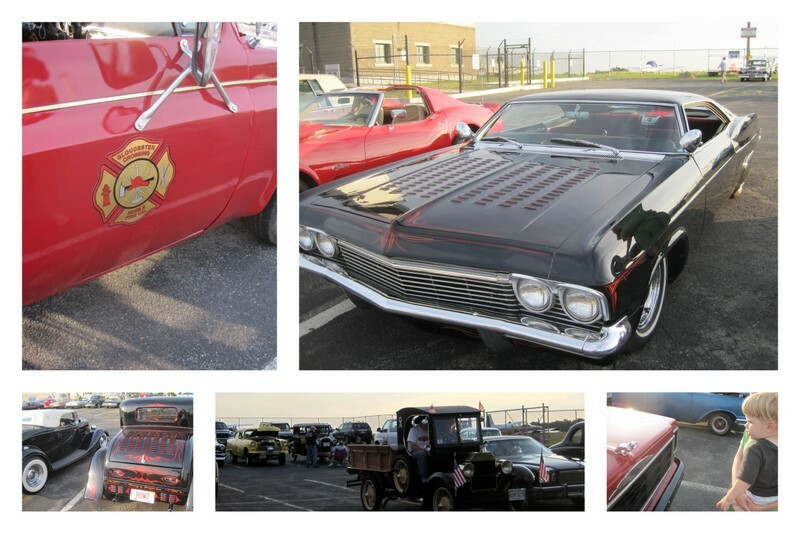 Apparently our local airport has “Cruise Nights” – a night when you can go see old cars . . . so we went. Partly to check out the cars . . . But mostly to check out the airport . . . since it is Airplane Week . 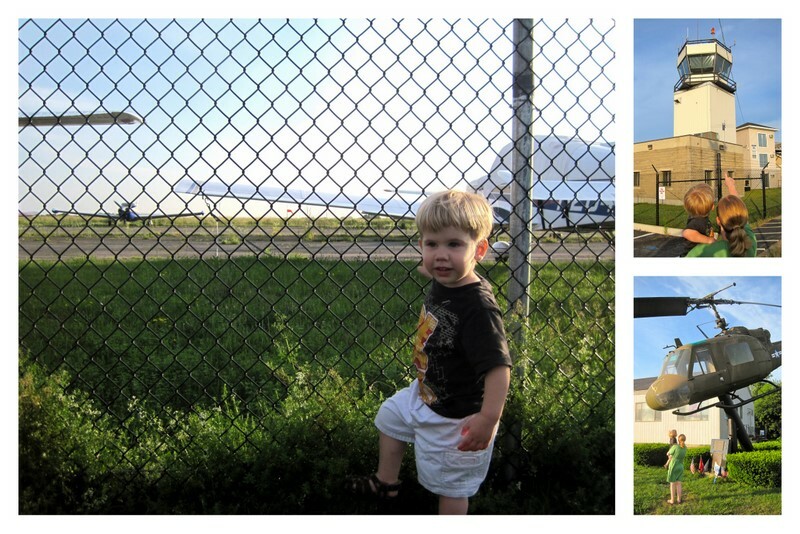 . .
And it is a great little airport with a control tower, an old helicopter and lots of planes on the other side of the fence. Imagine our surprise when the DJ came up to us as Cole was dancing and asked if we thought Colton would like to SIT in an old airplane from World War II. We were so amazed and thrilled. 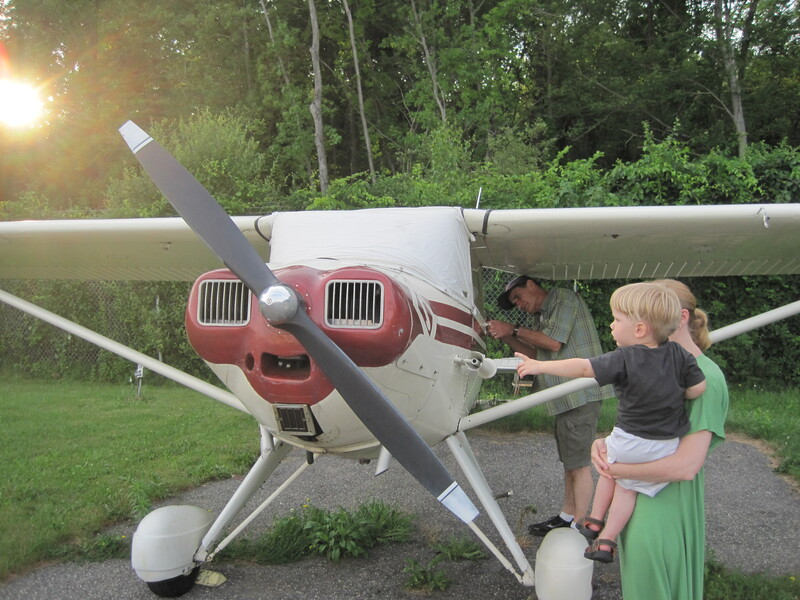 Our new friend Steve unlocked the gate, walked us by a dozen planes and showed us his airplane, a two seater he flew here from Florida . . .
Isn’t she a happy looking plane? 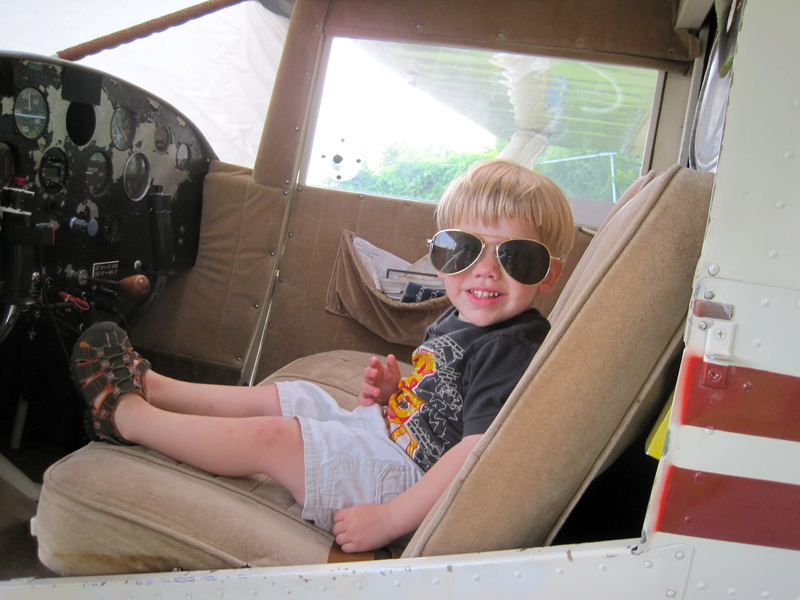 And what a happy little guy who got to explore a real airplane during airplane week. 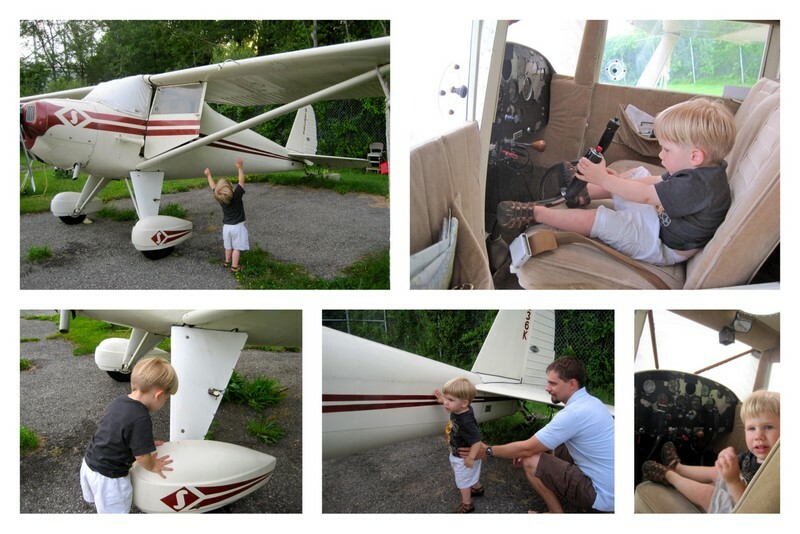 We had a wonderful Airplane Week!